You need to deal with important things in the moment, not tomorrow afternoon. StaffReady runs on the cloud, and runs on any modern device, so it's there when you need it: on your phone, laptop, or desktop. At the soccer game looking to trade a shift? No problem. Dropping someone off at school and a sick request comes in? No problem. Even at work, StaffReady is secure, consistent, reliable, and effective. 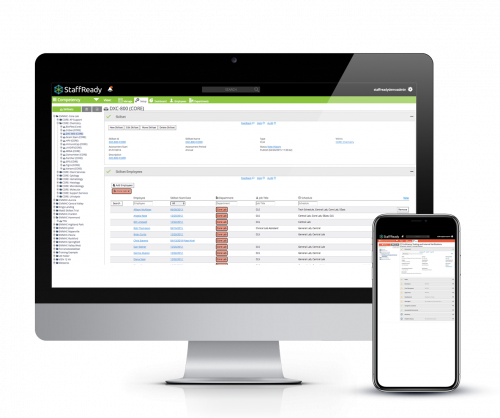 Simplify the scheduling process and eliminate errors. No more spreadsheets, manual PTO requests, or paper schedules with whiteout and highlighting. Create and manage your employees’ schedule on the go and approve requests wherever you are. Document control can get out of control fast if you don’t have a system in place. Various versions of documents, complicated review processes, and finding what you need can make for a stressful situation. StaffReady’s Document Control takes the hassle out of paperwork while still retaining a robust audit trail. 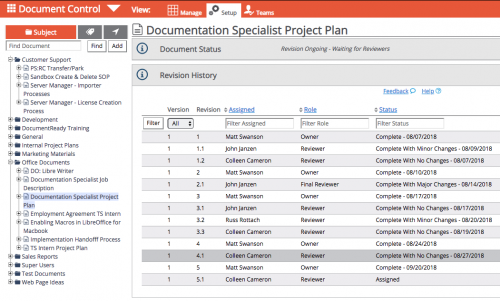 Create and edit documents, send them for approval, and review in any location at any time. We help you manage documents with ease so you can focus on what matters most. Stop drowning in paperwork and start automating your competency program. You’ll never have to worry about when someone is due for an assessment. Get your employees properly trained, automatically maintain training records, and always be in compliance. We're pleased to be offering another improvement on the StaffReady platform! Keep an eye out for the New and Improved InspectionReady module this Fall. It will integrate data from all three StaffReady products and put you one step ahead on your next Inspection or Audit. This new agent leverages our rich toolset of integrated, web-based quality management modules. These modules coordinate and communicate so you can easily complete policies, procedures, training, and assessments for everyone on our automated schedule platform every day... even for new employees! We understand that healthcare managers don’t have time to worry about who is scheduled, or what documentation might have been missed, all while preparing for surveys and inspections. We built our industry's first Workforce Management suite that takes Right Person, Right Place, Right Time seriously by actually checking records to confirm the person scheduled is qualified for the assignment. Work with our implementation specialists to customize your solution. 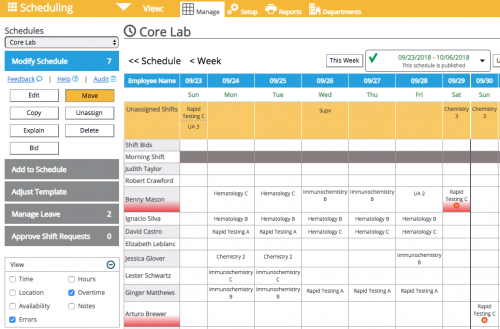 Add new staff or shift assignments as needed to keep everybody on the same page. 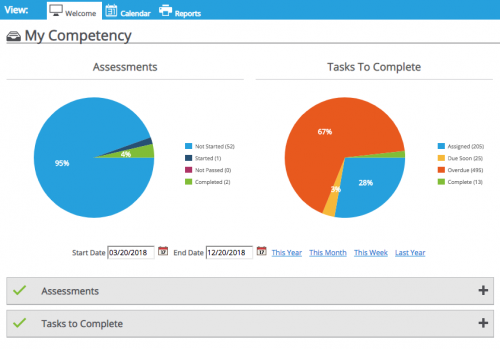 StaffReady suite checks records and adds competency assessments if needed. "I've been doing this 30 years and with StaffReady, I can finally stop worrying a about citation for competency records." "There is no more thankless job than managing schedules. I've managed schedules for 35 years and it is a contentious issue with an often negative impact on staff. I applaud you for finding a solution for such a complex problem." "StaffReady Competency is extremely comprehensive and the customizability is remarkable! With the time-sensitive nature of competency assessment, it’s great to have people who are so responsive and willing to adapt to our needs!" "We were spending nearly 11,000 hours per year with a salary cost of close to half a million dollars building schedules and managing all the subsequent changes. We’re saving both time and cost by using StaffReady Scheduling, which also delivers a more dynamic and accurate staff schedule." "The amount of time StaffReady Competency saves us is phenomenal. I don’t spend hours of my day figuring out who needs assessments, tracking down supervisors, and rearranging benches. With StaffReady I spend 10 minutes instead of the whole day." "I've been on the lookout for something for years that was cost-effective, and something I felt I could work with. Other products didn't seem to offer the full breadth of functionality that StaffReady competency does." "I cut my workload time in doing the schedule by probably at least half. Maybe even more so. We’ve had a change in staffing and with everyone set up, a six-hour task is now an hour to two." "I appreciate the support team’s quick responses and patience with our questions as we learn and utilize StaffReady Competency. The open dialogue we created through the implementation process will continue to help us maintain and continually improve the competency assessment process. I am reassured to know the support team is there to keep us going." "Customer service is fantastic with StaffReady. They’re very quick to respond and to be accommodating. They’re flexible and responsive. If we have an issue, they’re quick to investigate and solve. They’re quick to get back to you and are able to fix your issues." "StaffReady customized the product to our needs. They came on-site for implementation and were very personable. I have 2-3 people I can work with." "The thing I liked most about StaffReady was working with the StaffReady software team. We had regular work group meetings where we could bring up challenges that we had and StaffReady would work with us to evaluate and update its software to meet our needs. They were great to work with, both very reactive and proactive." "StaffReady Scheduling has been a blessing with how we handle our paid time-off requests. Employees feel that the leave request system is very fair. They can see how many people have requested time-off and when those requests were made. It’s transparent, and there’s no worry about favoritism." All Prices Shown Are Per User, Per Month.